mwe3: Can you tell us where youre from and where you live now and what you like best about it? What are a few your favorite cities to visit and have you been to the USA? 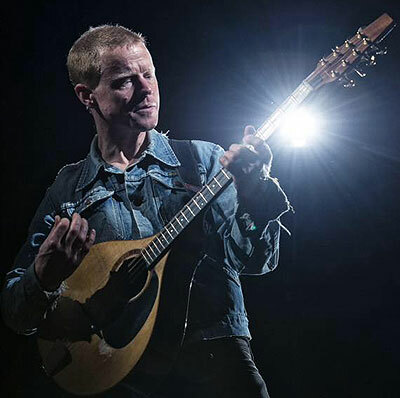 Benji Kirkpatrick: Im from a small village in the county of Shropshire, close to the border with Wales in the west of the UK. Im very much a country boy, brought up roaming the hills but I fairly recently moved to the middle of England, a town called Leamington Spa, not far from Birmingham. Coming from the country, Im loving the novelty of being in a town and having everything on the doorstep. Bristol is pretty cool as well, got a bit of an edge to it. Im all about the scenery though, really. One of the joys of traveling for work is being able to see different landscapes and explore different areas. Ive never been to the US but would love to see some of the landscapes there, as well as the cities of course. All of it! I toured Canada a couple of times with Bellowhead but we never made it to the States. 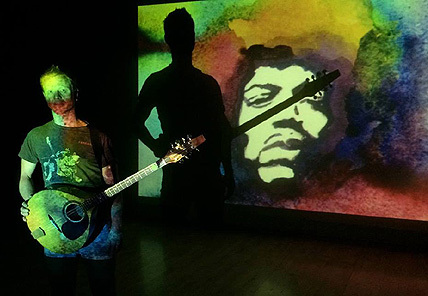 mwe3: Your new solo album Hendrix Songs is a great tribute to Jimi Hendrix. When did you first hear Jimis music and is there story as to how the album came together so to speak? It sounds like a very unique close-up of the Hendrix legacy. 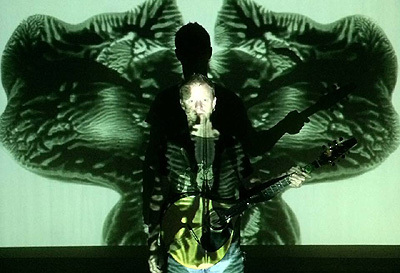 Benji Kirkpatrick: I first became aware of Hendrix at the age of 11 or 12 when someone gave me a cassette on which theyd recorded his Radio One Sessions album, on the other side was ZZ Tops Exterminator. That was me made! It was ZZ Top that caught me first, a very accessible album that one, but then I realized that there was this gold on the other side. The Radio One stuff is the Experience at its best, I think, and I quickly became quite obsessed with Hendrix. Band of Gypsys followed soon after, as did the acquisition of an electric guitar, so I started trying to play the songs. method of playing it. This sparked off the idea of coming up with a whole albums worth of newly worked, stripped back Hendrix material, with the focus being his songwriting rather than his guitar wielding. The project gestated for some time but I got there in the end. mwe3: You say you wanted to revisit the more gentle side of Jimis musical persona which I think you did quite effectively, for example revisiting Waterfall and The Wind Cries Mary. Were there certain parameters that you used in choosing the Hendrix Songs track lineup? Benji Kirkpatrick: Not really, I just tried things until they stuck. Some didnt, of course. I wanted the songs to come through, to stand up on their own whilst finding an interesting way of doing them that was far enough away from the original versions to avoid direct comparison. I saw no point in just doing straight covers or trying to shred like Hendrix could, anybody can have a crack at that, I tried to come at it all from another direction. I play a lot of traditional music, mostly learned from books or field recordings, and I guess I approached Hendrixs songs in much the same way as I would approach traditional ones; extracting the raw material and interpreting it in my own way, in my own style, removing myself from and even trying to ignore the known versions to be able to get to something that is new and different. There were certain songs that I thought Id never be able to get, like Angel, so in the beginning I discounted it but when I actually hunkered down I found that it fitted really nicely on the bouzouki. There were a few like that and I pleasantly surprised myself in working them out! There were some that I couldnt find a good enough angle for and some that were just too out there lyrically and musically to be able to carry off on my own. Ive always felt that there was a very gentle, compassionate and sensitive side to Hendrix behind all the axe wielding, so it made a lot sense to me to strip the songs back to the bare essentials. Some of the recordings on West Coast Seattle Boy of Jimi recording demos in his hotel rooms, or wherever he was, are very enlightening; they show him in the writing process, playing quietly, concentrating on the song structure, building the songs we know today. He took a tape recorder everywhere, apparently, always making demos. mwe3: Can you tell us something about the instruments you play on Hendrix Songs, including the bouzouki, banjo and mandolin? I was amazed by the sound of your bouzouki. When did you first record with the bouzouki and did you do much overdubbing on the album or was it mostly cut live in the studio? 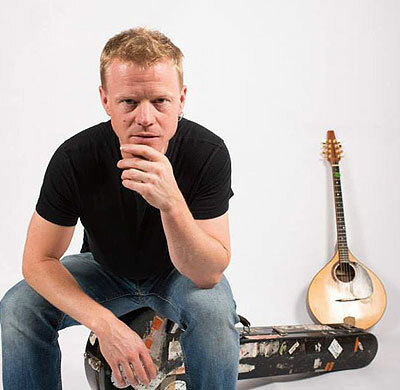 Benji Kirkpatrick: I started playing bouzouki in 1996 and I think it went down on record pretty much immediately. It records wonderfully. The bouzouki I play is referred to as the Irish Bouzouki, rather than the traditional Greek version. A chap called Johnny Moynihan introduced it into Ireland in the mid 60s having acquired it whilst on tour in Europe and thats how it entered the Irish traditional scene, spreading quickly to Scotland and England, and now across the world. It has a flat back as opposed to a barrel back, like the original Greek instrument has and is tuned completely differently. Theres very little overdubbing on the album, the idea was to keep it minimal. I double tracked instruments on a couple of numbers and theres an overdubbed instrumental section or two but its mostly done as live. mwe3: Reprise Records had him here in the US, I still remember when the first Experience album came out in 1967. Jimi was like an overnight sensation. Looking back on Hendrix, what albums do you feel were among his greatest. Benji Kirkpatrick: I think they were all his greatest! And all quite different. If I had to choose I think Id say Electric Ladyland is my favorite, and possibly the best, but I do love Band Of Gypsys as well. Many of the hits are on Are You Experienced, though  Foxy Lady, Red House, Fire, and all the singles as well on the later versions of the album. Each of the four albums released in his lifetime all do a slightly different thing, and you really see the progression in his music and writing. Band of Gypsys is obviously the one that sounds most different because its a different band and its live. Heavily funky. mwe3: How do you contrast Jimi, the pioneering guitarist and technician and Jimi, the songwriter with that melodic ear? Youre right that he was breaking so much ground for the guitar that his melodies are overlooked. I just saw the LSO playing Hey Joe, pretty amazing. 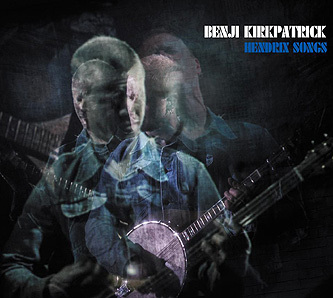 Benji Kirkpatrick: Theres an English classical violinist called Nigel Kennedy who has done an album of versions of Hendrix songs, all instrumental. I havent actually heard it, to my shame. The thing with Hendrix is that he wasnt really a technician, he was never formally taught, just learnt by ear and picked stuff up as he went, so that means that he had no entrenched forms or training to tie him down and thats a big part of why his playing was so free. His playing was truly intuitive, I think, that guitar really was an extension of his being at times. He was heavily influenced by Bob Dylan and probably got some of his lyrical ideas from there as well as having a rampant imagination of his own. He was a great songwriter and I think it came quite naturally to him, I dont think he in any way had a cynical approach to what he did. mwe3: Tell us about Bellowhead and how you came to join the band. I heard the band recently split up? What are the highlights of your time in Bellowhead and what other artists do you like to work with these days? Benji Kirkpatrick: Bellowhead have their last tour in April this year (2016). Its been 12 years. I joined at the beginning, it was really a bit of an experiment that stuck and carried on. I knew a number of the chaps from playing in sessions in Oxford, where the band formed, wed done the odd gig, got drunk together, that sort of thing. Then we became this juggernaut of a thing and started recording and touring. There are quite a few highlights, the tours in Canada were fantastic, I saw an Osprey dive for a fish in the river by Calgary Folk Festival, which was pretty special for me. On one tour we did this thing called bus song a day whereby we wrote and recorded a song, with video, and posted it online each day of the tour, it was hilarious fun and all very silly but we came up with some great stuff. Other highlights would have to be recording Hedonism at Abbey Road Studios, obviously an iconic place and we were very privileged to be there, and recording in the legendary Rockfield Studios in Wales, a truly great place to be. Im currently working with a trio called Faustus, playing English traditional material but in a slightly scaled back way compared with Bellowhead. Ive recently started working and writing with a singer called Janie Mitchell as well doing all original material. mwe3: Your parents John & Sue Kirkpatrick are each renowned folk musicians. What was it like growing up in a musical family and there must have been a lot of musical instruments everywhere! Are your parents albums out on CD and what albums of theirs do you like best? Benji Kirkpatrick: I had a great time as a kid, I didnt really think about my parents being musical, they just were. And that made for a fun childhood, I got to go to festivals a lot and travel around with them a bit which I enjoyed. I started learning piano at a very young age and there were various instruments lying around so I inevitably picked them up at some stage for a bash. Their albums are not out CD unfortunately, but some of what they did is available online, certainly on Spotify. I think my favorite would be Stolen Ground, the last one they made together, because its the one I remember most clearly. I was at an age when I was becoming much more musically aware so some of the material on there I still find quite moving. mwe3: Growing up what were some of your favorite bands and also albums? Its overwhelming for younger kids to comprehend all the great music from the past 60 years or so! Benji Kirkpatrick: As I said, ZZ Top were a big one. After the commercial joys of Eliminator, my Dad brought me back Tres Hombres after hed toured the US and I loved that. Later I discovered Deguello which I think remains my favorite of theirs. Chuck Berry came before them though, just compilations. I remember when Brothers In Arms by Dire Straits came out, one of the first big sellers on CD, that was on a lot in the house and that was fine by me. Soon after, Peter Gabriels So appeared and that got played to death, brilliant stuff that had quite an effect. Both my parents are big Beatles fans so their music was always a default position, I got to know it rather well. One of the first albums I bought myself was The Sensual World by Kate Bush, I always found her incredibly fascinating. I got heavily into the Levellers for a while and their album Levelling The Land is a key one. Swedish band Filarfolket made an album called Smuggel which had a real impact on me, very well crafted tunes. Oh, and the Stock, Aitken and Waterman classic, Never Gonna Give You Up sung by Rick Astley. mwe3: I think your Hendrix Songs album has great potential for radio play here in the US. Who are you targeting so to speak as an audience for Hendrix Songs? Hendrix fans for sure but theres millions of young kids hearing Jimi for the first time every year. What do they make of it then? Benji Kirkpatrick: I hope that it has a fairly wide appeal. Obviously Hendrix fans may be intrigued to hear it and hopefully fans of acoustic music in general. I guess the folk fraternity is a place to start, because thats where Ive come from in the UK, but I really hope that it reaches an audience outside of that. mwe3: What more will 2016 bring musically, compositionally, and performance wise and are you planning new recordings as a follow up to Hendrix Songs? What kind of album would you like to make next? 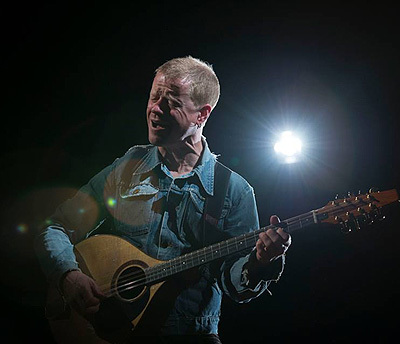 Benji Kirkpatrick: I am planning more recording, Id like to follow up Hendrix Songs with an album of originals. Im looking at putting a small band together to make a slightly rockier sound, not all distorted guitars but certainly heavier. The Hendrix project cant last forever, obviously, so I need to get back to my own material at some point. Ill also be recording with Faustus this year and spending a week at the Royal Shakespeare Company in Stratford upon Avon so some good things coming up.